I got divorced a couple of months ago and even if it was tough at the beginning, now I am ok. I and my ex-husband were not fighting or anything but after a couple of years, we realized we are more of roommates than a couple and decided to go our separate our ways. Everything was fine until now. But now Christmas is coming… and we were always spending it together for the past couple of years. Now I am not sure what to do. I could go and visit my family but somehow I don’t feel like (trying to avoid post-divorce questions). I started to feel lonely, looking at all the world preparing for Christmas and me not having anyone or anywhere to go (this is how I feel). Especially now, I kind of miss my ex-husband. Is this normal? I thought of calling him and asking to spend Christmas together but I am not sure if this is a good idea? It is still rather a taboo topic but many people feel lonely during Christmas – and not only those who are going through breakups/heartaches/post-divorce adjustments. Some are unable to join their families due to various – mainly geographical – circumstances. Others, feel like they are pressed to spend Christmas with people they don’t want to, and as a result, they experience “the lonely in the crowd” type of a feeling. 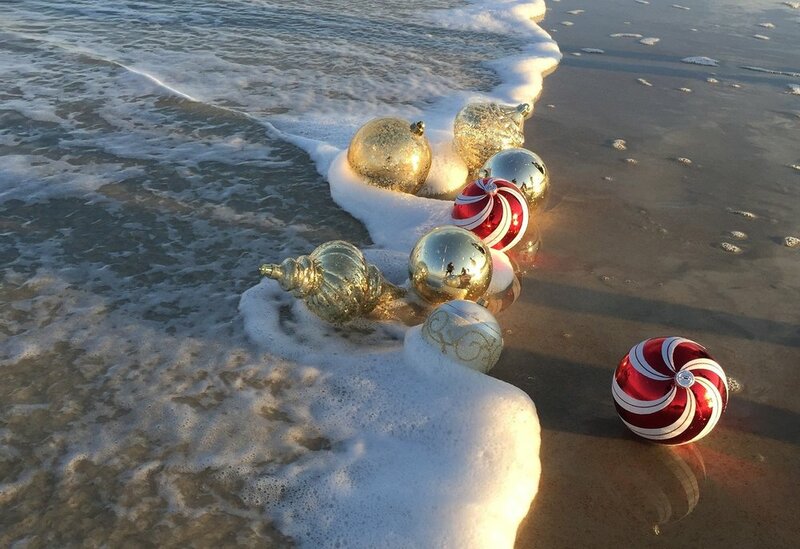 The tricky thing about Christmas is that although it can be truly wonderful, it makes us extra vulnerable as well. Due to a high level of expectations of “how truly magical Christmas should feel and look like”, we tend to get more anxious and stressed but also sensitive and sad. This week’s challenge has a specific angle: Lisa feels lonely because she is about to spend her very first Christmas alone after the recent divorce. However, we truly believe that most of the options we have prepared today will be useful and inspirational for anyone who struggles with loneliness during Christmas. Is it normal to miss your Ex during Christmas? In your challenge description, you have raised a really interesting question: Is it normal that you miss your ex-husband during Christmas? Not only it is normal, Lisa, it is given. You’ve been together for a couple of years and especially now when the entire world is preparing to celebrate “the most wonderful time of the year” you may feel odd and out of place. You are still used to his presence in your life and each time you will go through something for the very first time without him – be it Christmas, Easter or any other event/ occasion – you will most probably feel weird, lonely or even scared. In the most simple terms, it means that you are not fully adjusted to the new reality yet. Although you’ve mentioned that you were feeling “ok” so far, periods of loneliness and doubts may still come from time to time. And that is perfectly normal! Ending a marriage or a long-term relationship is not something we can get over within just a couple of weeks. It requires time, patience and also a new mindset where you are fully open to new experiences and to building new routines that will overwrite your old habits. Every major change in our lives is scary and human brain’s normal reaction is to hold on to the familiar (our survivor’s instinct kicking in). Yet there are ways to train the mind to let go of the past and move on; one of them is to create a very new Christmas traditions. In your specific case Lisa, we have prepared several different solutions that will help you with restoring wonderful Christmas and turn it into something truly magical. Hopefully, after reading your 5 options and listening to our podcast, you will feel inspired to turn your Christmas loneliness into the most wonderful time of the year! Option 3: “Have Yourself a Merry Little Christmas” – Do what you always wanted to do! We are not sure how far away from home are you Lisa, but you have mentioned in your Challenge description that you have a possibility to spend Christmas with your family. There are both advantages and disadvantages of this option but it is definitely something to consider. Going home can be a fantastic idea if you feel like retreating to your “safe zone” and in many cases, the family turns out to be an ultimate shoulder to lean on in hard times. First of all, you won’t be alone. Even if you have that one annoying uncle who talks for hours or grandma whose the main purpose is to stuff you with food all around the clock, it is your family nevertheless (plus their annoying behavior can effectively distract you from your own problems). Being home can also remind you that you had a life before you were married and make you realize that you will have a new life after your period of adjustment is over. Naturally, the obvious disadvantage could be dreadful “the post-divorce questions”. Or actually, even the lack of it. It’s a tricky situation; not only for you but for them as well. Your family may start asking questions about how you feel and try to give you advice that you don’t really need or you are not ready to listen to yet. They may also act quite the opposite – avoid the topic at all costs and unintentionally make it even more awkward. If you feel like going home, but you don’t want to discuss the divorce, you can try to address the topic once, explaining that it is hard for you to talk about it yet, and ask everyone to “drop it” for the time being. If, however, you know that it won’t work, or your family could actually make you feel even worse, please check our next option below. … can be a good idea – but only in certain circumstances. It would definitely make sense to spend at least one day of Christmas with your ex if you had children together. Especially shortly after the divorce, it could be a great thing to show your kids that although mom and dad are not together anymore, you can still enjoy some nice time in a friendly atmosphere (if, of course, “the friendly atmosphere” would be possible to maintain). However, from your challenge description, we can understand that there are no common children involved and your thoughts on spending Christmas have a different motivation. So, Lisa, the answer to “if it’s a good idea” is simple: If you are deeply and without a doubt convinced that the divorce was a mistake and you want to get him back – follow your heart and go for it! Maybe this is one of those very few chances in a million to have your “Jerry Maguire moment” when you show up at his door unannounced and confess your feelings. After all, Christmas is a time of grand gestures, courage, and miracles so if there is any good time for trying to win him back, it is definitely now. However, we have to admit that this option comes with quite a number of possible negative consequences. Regardless if you decide for a “Jerry Maguire type-of-move” or you call your Ex-husband prior Christmas to talk about spending it together, you may not get the response you hope for.After all, both of you have agreed to get a divorce and there is a big chance he moved on. Naturally, if you feel that you truly love him and he is “The One”, you should still go for it, but consider this – no one wants to hurt others or break someone’s heart on Christmas. He may agree on spending Christmas together under pressure, feeling either awkward or obliged to say some things he doesn’t really feel, only to avoid causing you pain. After Christmas time is over, you may wake up to a harsh reality and realize that the whole thing was based on illusion. Other things you need to consider is where your own feelings are coming from. As you have described, you feel lonely and “kind of miss him” but are those truly authentic feelings or just a post-divorce reactions? See, many people struggle for weeks or months to get over someone and it may have nothing to do with love. It’s very easy to get confused about your own heart, especially while facing your first Christmas apart. That’s why if you are not 100% sure what is the nature of your feelings and what the possible implications could be, we would recommend you to check up on the way you feel after the entire Christmas frenzy is over. Any thoughts, feelings, and considerations around the topic of getting back together can fade away with time – Christmas is a very sentimental period and we are extra sensitive and nostalgic. See if you feel the same after it’s all over. How about shifting your mindset a little and looking at your situation from a totally new perspective? This year, there is finally no pressure to follow traditions; no need to cook, clean or make endless preparations. You don’t have to participate in stressful and boring dinners or compromise for anyone and anything! The bottom line is: you just got a couple of days off and it’s the very first Christmas in a long time when YOU CAN ACTUALLY DO WHATEVER YOU WANT. How about a little getaway trip? Changing the environment is always a fantastic idea when you struggle with some difficult emotions and it gives you a great opportunity to step out of your routine and comfort zone. Depending on your budget, spontaneity and inborn level of need for adventure, you have quite a number of options to try. You can visit a good old friend you haven’t seen in a while or take a trip to a place you always wanted to travel to; It can be an exotic, hot location (who said Christmas always needs to be white and snowy?) or a little town you were always curious about “just around the corner”. You’ll have a chance to explore and learn something new, meet people and forget about your day-to-day reality. If you are a little daredevil/globetrotter type of a person you can go to the airport/train/bus stationjust before Christmas and totally spontaneously decide for your final destination (if your budget is limited, try searching online. A pretty cool guide “5 Best Websites for Finding Cheap Flights Without A Destination in Mind” may help you with that). Let your inner gut feeling be the guide! Let go of all expectation and just allow your heart to lead your way. Remember, the Christmas Miracle is “da real thing” and if you just follow your intuition – with openness in your mind and kindness in your heart – you may spend the most wonderful, exciting Christmas in your entire life! What is your Guilty Pleasure? And please don’t tell us you don’t have any because absolutely every human being in this world has at least ONE (if not, check up your blood cells or something, because you must be an alien). So Lisa, what is that one thing (or two… or three… or fifteen) that you love doing yet you are kind embarrassed to admit (either to others or to yourself)? Is it eating a bucket of ice-cream in one go, while watching reruns of your favorite sitcom? Spending all day in pajamas reading celebrity gossips online? Devouring the entire season of Netflix series in one go? Starting your day off from work with a margarita? Whatever that is, now it’s the time to self-indulge in your Guilty Pleasures! Especially that “The Guilty Pleasures” Christmas Edition is on a TOTALLY different level as NOW it is totally acceptable to let ourselves go a little! “Die Hard” marathon followed by “Home Alone” and Griswalds, while eating all the winter supply of Christmas Cookies? You got it! Christmas songs Karaoke session in embarrassing “bunny onesie” after a bottle of wine (or two)? Do it! All day long online shopping where you buy the most peculiar things like “Apocalypse survival kit”, Marvel cosplay costume for Halloween (wink, wink) and a scarf that costs your entire’s month budget (no worries, you will return it all in January) – Now we’re talking! Staying home and using your free days to catch up with all your Guilty Pleasures can be a great way to relax. And if you overboard with some… well, you will have even stronger motivation to come up with great New Year’s resolutions! Time for a Total Clean-Up! After Your Guilty Pleasure session “The Christmas Edition”, you will possibly feel a huge urge to do something really healthy and productive for yourself (guilty pleasures, unfortunately, trigger quilty conscious). Prepare yourself for the New Year – make a resolution list: write down all your goals and dreams and prepare a master plan how to get there. Make a visualization board or start scripting to synchronize your mindset with the things you want to achieve. Clean your apartment, rearrange the furniture and get rid of all the crap from the past – especially the one, that still remind you of your married life and ex-husband (if you are not ready to throw it away, at least take it to the basement). Make a mental and physical space for all the wonderful new things that you want to attract to your life! Read a wise book. Sign up for an online course. Listen to motivational and inspirational podcasts. Search for groups/societies in your area where people meet up to do stuff that really interests you and join them. Invest in yourself – in your intelligence, well-being and your new life. Enter your 2018 and simply rock it! Christmas is legendary for its Miracles (at least according to the popular culture and movies) but usually, we expect that the miracle will happen… well, to us. How about changing the mindset a little and instead of waiting for miracles, start making them? Santa with the Whole Shebang! You can involve yourself in already existing charity or volunteering work. There is plenty of events organized to help others during Christmas – it is literally enough to type in a Google search box terms like “meals for homeless”, “gifts for underprivileged kids”, help to organize Christmas Eve for someone” and add the location where you are currently at. Many countries have volunteering organizations where you can browse announcements from people/groups who need some kind souls with a little bit of a spare time to join in and help. You can also organize a charity event by yourself – you just need to find a charity case and brainstorm how can you encourage people to support you. There is plenty ofcrowdfunding platforms where you can publish your event and ask people to support you financially. I will give you my favorite example from this year: Last summer in Poland, Tomasz Kozlowski has decided to make 48 parachute jumps on his 48 birthday to raise funds for different charities. Each Jump was individually sponsored via crowdfunding and “dedicated” to a different case/person (sick children, orphanage houses, families living in poverty etc.). Of course, you don’t need to go to such an extreme lengths like skydiving but you can offer something that you like to do and you would do it for free in order to help others. If organizing a charity event or volunteering is not something you that you feel fully “on board” with, there are still many ways to be Santa for others and create little Christmas Miracles here and there. You can start with small steps. Think if you have a friend, colleague or even neighbor around that could use your help with something. It can be something practical like help with shopping, babysitting, or carrying heavy bags for an elderly but it could also be “just” a talk, advice or simply a kind word. Make a little bit of an effort this year and send out thoughtful postcards to all your friends by mail(yeap, it still exists and operating). You could write personal “heart-to-heart” Christmas and Happy New Year wishes, adding a nice little memory/detail about your friendship or a moment you shared in the past. If the post office is really not your thing, send out emails/messages but make sure they are thoughtful and special. Try to make as many acts of kindness as possible! If you need some inspiration take a look at 103 Random Acts of Kindness – Ideas to Inspire Kindness or join our Facebook Group Show some Freaking Kindness (You’ve Got 5 Options’ Christmas Calendar) group members are posting daily little acts of kindness that they’ve managed to do. Friendship is one of the most precious things we have in life; jobs, relationships, and even marriages can end but true friends prevail in our lives, regardless of the circumstances. Continuing in a spirit of this rather cheesy, yet a very true statement, we would like you to consider an idea to invite your friends to a Christmas Dinner or an awesome Christmas-themed party. Dancing to the most cheesy, commercial Christmas songs. Laughing at the table. Exchanging little gifts and sharing some delicious, home-made meal. Drinking wine and making sentimental trips down the memory lane. Building a snowman in the middle of the night… Sometimes that is all you need to feel energized, loved, welcomed and hopeful again. Every year I organize a pre-Christmas dinner for my close friends (we are unable to meet on the actual Christmas) and those parties simply rock! Sometimes it is even better than the actual Christmas itself and it has become my very own tradition, that continues regardless my former marriage, relationships, and even my job! If for some reason you are unable to throw a bigger party, inviting your friends for a nice warm tea and cookies or mulled wine is still a great way to go. Organize a cozy meeting at your place, where you can watch some Christmas movies, make Christmas decorations or just talk about life. If for some reason your friends are not around or cannot join you, an interesting option would be to “get out there” and try to make some new ones. Many people are “reaching out” these days and are really open to meet and befriend new people. 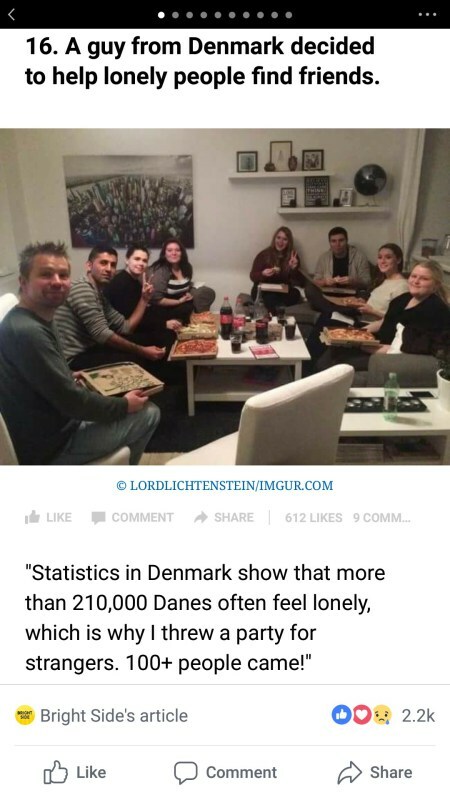 I have lately read about a guy in Denmark who throw a party for people who feel lonely and would like to meet new friends. There is also plenty of groups on Facebook where people are inviting strangers to cook together or celebrate holidays. You can consider joining a meet up like this or even make your own. It requires stepping out from your comfort zone, yet it is a great thrill that can turn into a great friendship. First post-divorce Christmas can be tough, but you will get through it (we all do, dear). It’s all about changing your mindset a little and being open to new experiences. We hope that while reading our options, you’ve found an inspiration to turn your loneliness into an awesome Christmas miracle. Merry Christmas Lisa and hope to hear what you’ve chosen!